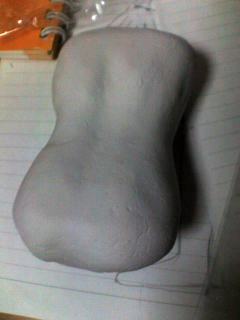 I made mold by oil clay. 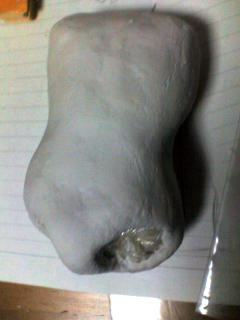 Oil clay can be formed many times, so I could change the forms of the mold hours after from the start. 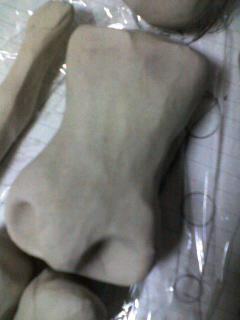 It was difficult to wrap the mold with the sheet of stone dust clay. 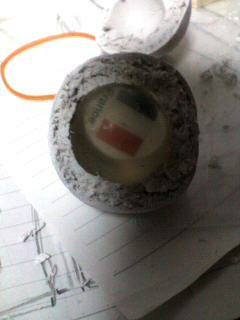 Because the mold is too soft. 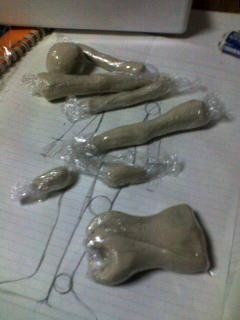 I used too much clay to wrap. It seemed fat a little. 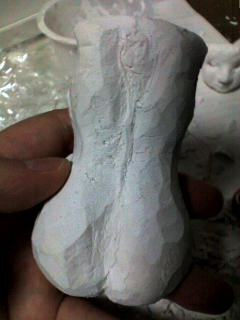 I carved off some clay and form the details. I pulled off the mold from the head parts. 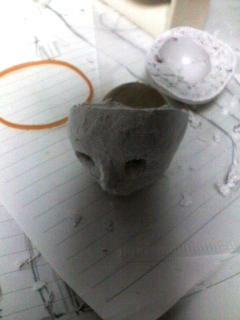 Then I scraped off redundant clay and made eye hole.